I have worn a necklace to London made of the same colour beads and it got a fair few looks! 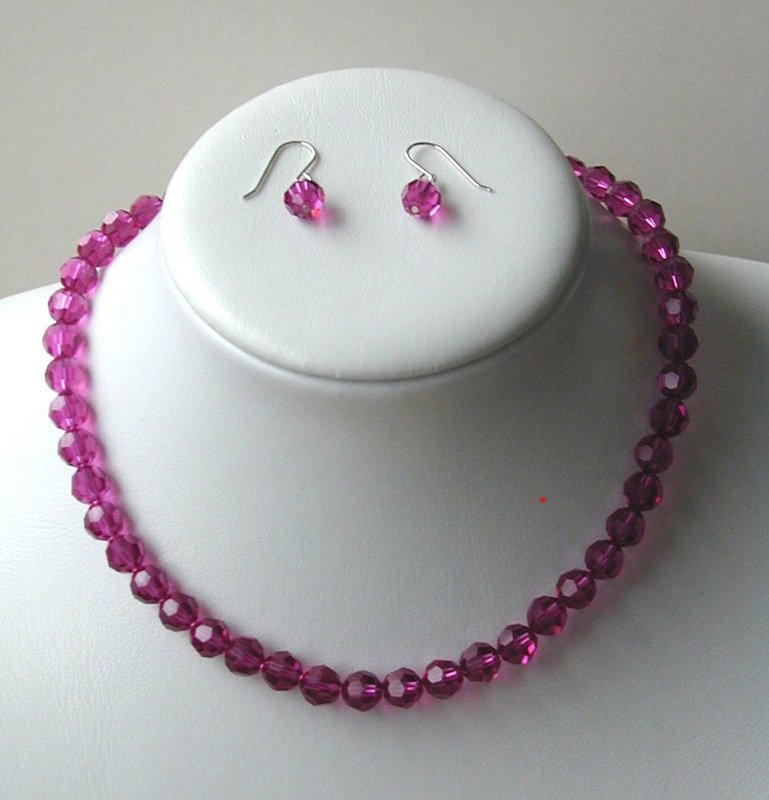 This pink 8mm swarovski bead necklace is 15" long and fastens with a sterling silver clasp. The colour isn't sickly sweet but very feminine and bold. With bright colours in fashion this necklace would add a stunning flash of colour to any outfit.Perfect for evening wear or if your like me, wear it in the day. To accompany this necklace you will also receive 1cm drop matching sterling silver/swarovski earrings.